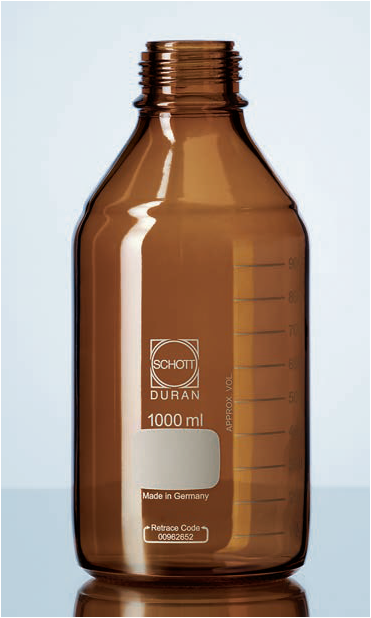 Duran 21 806 63 Laboratory Bottle 2000 ml Amber . With easy-to-read scale and large labelling field for easy marking, in fired-on, highly durable white ceramic. UV protection up to approx. 500 nm wavelength. Unchanged DURAN® properties within the bottle, as colour application is only on the outer surface. Very uniform, durable and chemically resistant amber colour due to use of innovative technology. storage and transport of light-sensitive substances.